The name of our Congregation, Shir Hadash, translates to a “new song”. 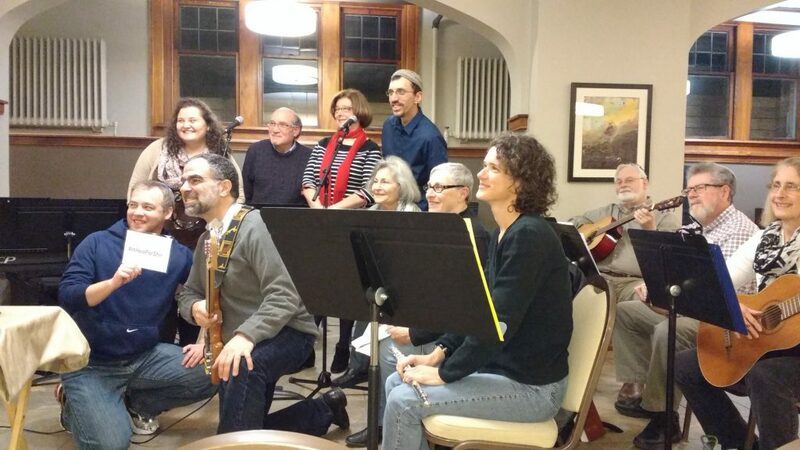 This could not be more appropriate, as music plays a defining role in the spiritual experience at Congregation Shir Hadash. It is an integral part of almost everything we do. Our playlist evolves throughout the year, reflecting of the season or holiday, the weekly Torah portion, or a special Shabbat service theme. Musical selections range from traditional to contemporary, of liturgical origins, and folk melodies, to name a few. 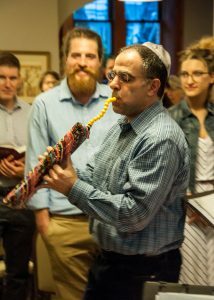 Our music can be a calming influence, setting the mood for a restful Shabbat, or might stir you to shake an instrument or get out of your seat and dance. A service might end with Adon Olam sung to the tune of "Home on the Range", a broadway show tune, or a more traditional melody. Our High Holiday services, too, are an inspired collaboration of our musicians under direction of our Music Director and Rabbi.